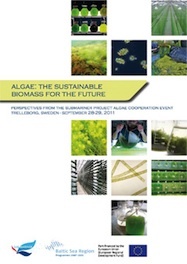 Whereas it is difficult to use them as fertilisers on agricultural land due to the risk of high level metal content, there are promising results of pilot studies carried out in using these macroalgae as a locally available resource for biogas plants (compare: the methane yield of red macroalgae is approx. 60 % of terrestrial crops’, e.g. maize’s methane yields). The removal of beach cast macroalgae does not only lead to cleaner beaches, with positive impacts for the local communities, it also contributes substantially to nutrient reduction in the Baltic Sea, as macroalgae show a nitrogen content of 2–6 % of dry weight. Municipalities like Trelleborg (Sweden) or Solrød (Denmark) have already started to go into this direction. 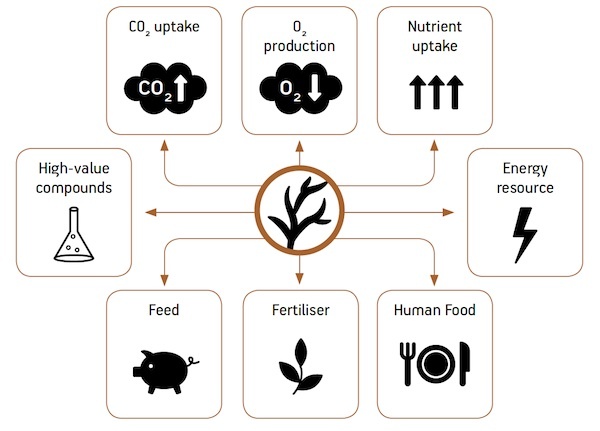 However, private investments are currently still hampered as there is no understanding of Natura 2000 provisions related to how much macroalgae removal is allowed, nor is there a mechanism to compensate for the ecosystem services provided. Consequently, the production chain still requires further development in order to show clear positive energy net value. It is also possible to cultivate macroalgae in nearshore installations, but this still remains a relatively unexplored field in the Baltic Sea Region.